I’ve actually been thinking a lot about this question! I was asked several times which route I preferred when people on the Norte found out I’d done several others. And I was never able to pick one. I think of each as a journey, not just a route – it doesn’t feel complete to examine them out context, without thinking about the people, the weather, my own state of mind, etc. They were all so different that I can’t really compare. I think you and I will have to have a longer chat about this over some tinto de verano at some point. As you know, I’ve walked 8 Caminos now. My first two Caminos were on the Francés, I loved it and still do, I would walk it again in a heartbeat. Then I’ve walked several Camino Portugués and even led a tour on one – it was lovely each time albeit shorter in distance. I’ve walked the Inglés and the Costa da Morte as well. I can’t say which I liked better. 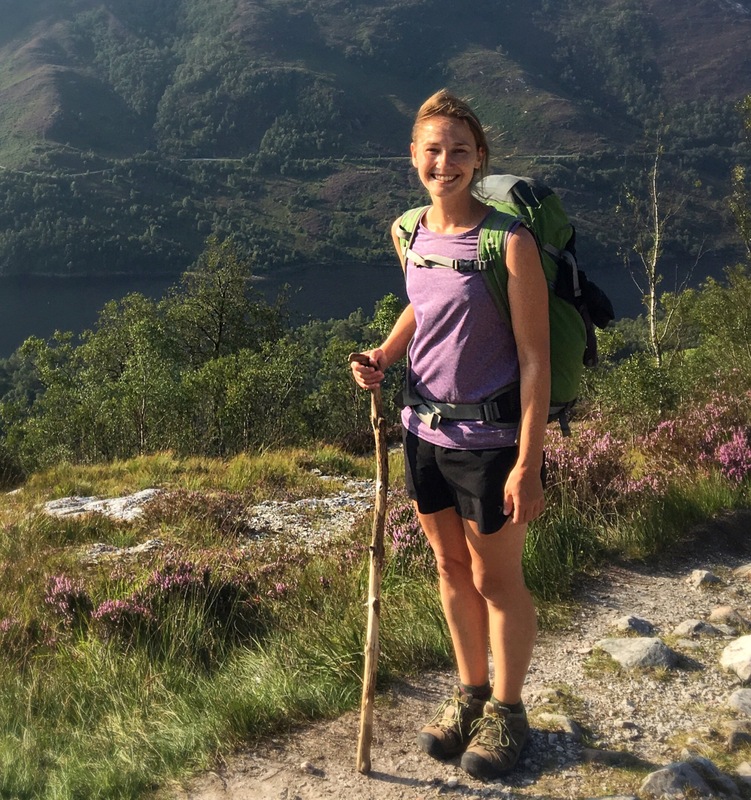 I love walking – I love the entire concept of pilgrimage – I love the history – I love the people, both the pilgrims I meet and the locals I’ve met – I love the food – I love the culture – I simply love the Camino! The Camino has given me my life and I will continue returning as long as these old legs will allow. I’m thinking about walking the Via Francigena as well as the 88 Temples Pilgrimage in Japan, maybe you might want to consider one of those in the future. And by the way, yes I am constantly asked which route I enjoyed more. I’ve enjoyed every one, every time and cannot choose one as the best. Thanks for your comment, Arlène, I was actually thinking of you as I was writing up this post (knowing that you’ve walked multiple Caminos, and wondering if you had any thoughts about it all!). It seems like this is the consensus, for those of us who have walked more than one… can’t choose the best, all were different, enjoyed them all but in different ways. The 88 Temples Pilgrimage has sounded intriguing to me, too… and like you, I just love the concept of pilgrimage. I have a feeling that whenever and wherever I travel, I will want some sort of walk/trek/pilgrimage within the experience! I’m so happy that I’ve found this while I have- God willing- years and years left in these legs. Already I’m echoing your statement… that I’ll continue to return as long as my good ol’ legs will allow. May that be many, many times for the both of us! I think the same things could have been said if you had walked the via de la plata instead of the norte. It was harder, grittier and there were day when I didn’t meet any other walkers. But like you I would not have appreciated the many differences if I had not walked the camino frances first. I would say that the frances was good preparation for the other walks. I don’t have any kids, nor have I even finished the Camino del Norte, but I would have to think that question would be akin to asking which kid is your favourite. Ha! The eternal question, that no one really ever wants to answer… (or can answer, for that matter). I’m looking forward to reading more about your walks on the Norte… do you have another section planned anytime soon? I ran into some financial problems, but I am thinking, as long as I am over this cold, that I should be able to do Laredo-Santander in a two (or three)-day stretch to reach my 2015 goal of making it to Santander, and finishing it up next June. That’s what I’m hoping, at least! You sum it up so perfectly. My first Francés was spiritual, healing, essential, emotional, painful, joyful, everything I expected and so much more I didn’t. I haven’t yet had a large enough chunk of time to walk another whole camino in one go, so I’ve not attempted another one. Instead I’ve returned to the original one, this time doing it in small chunks, and having a totally different experience. However, I am so looking forward to doing the others, and I’m confident that they will be delicious. Very timely post, as I was going to ask you this exact question. I like the aspect of the solitude and how you really owned this pilgrimage and made it yours. The Frances was such an incredible communal experience, and one a pilgrim shares regardless of whether they want to or not. Like you mentioned, maybe the Frances is just a primer or a warm up for the Norte. 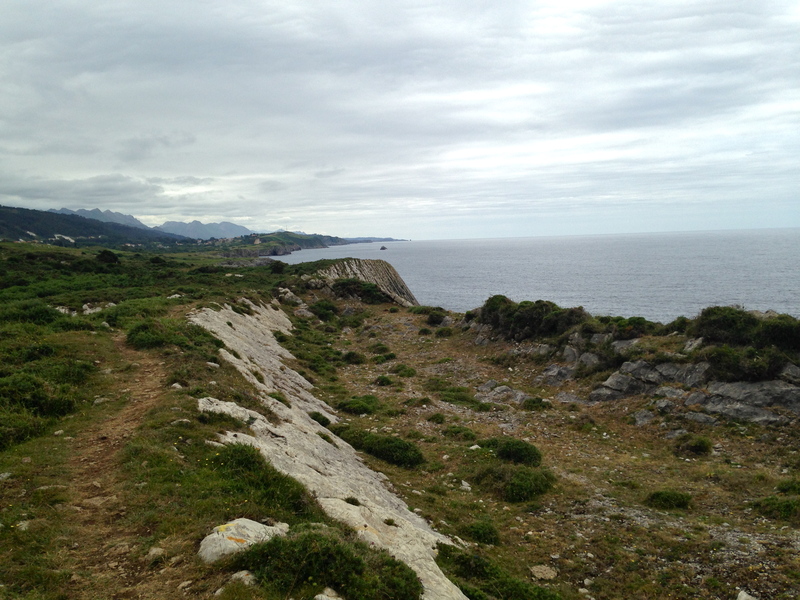 Almost everyone says they don’t want to stop walking when they reach Finisterre or Santiago. The spirit of the pilgrim has just been awoken after 500 miles and needs more time for introspection. I’m glad you were able to find it by heading back to Spain to walk the Norte. You know what your comment made me think of? It was a thought I was going to include in my post but completely forgot: that in the Middle Ages, when a pilgrim reached Santiago, that WAS only half the journey. They then had to turn around and walk back home. So maybe what I was feeling- and what so many others feel- is seeped in a lot of history. The “way” really isn’t finished for all of us in Santiago. We need to walk the second half to finish our journey. Any plans to walk another Camino?? That was one of the interesting bits of history I read as well. It’s incredible to think of how far pilgrims walked to reach Santiago, only to turn around and have to walk back home. I think you’re right, Santiago is only the beginning for some of us. I definitely have plans to walk the Norte some day. Walking the John Muir Trail was a dream come true this summer, and I’d like to walk the GR20 in Corsica for 2016. I’m thinking a Camino after the GR20 would be timely, as it would be the five year anniversary of walking the Frances. Do you have any plans laid out, or is it still too soon after finishing the Norte? Isn’t it funny that people want to know which camino route is best, which one you preferred…it’s like filtering the enormity of life and asking to pick one thing without realizing that all your decisions and experiences are interconnected. Nadine, I’ve really been enjoying browsing and reading your extensive blog. My goodness, it is so informative and I love your photos. My husband and I were “called” to do the Camino about 3 years ago but we have not had the opportunity to go yet, and it has become our greatest shared passion now. Several circumstances have continued to prevent us from going each time we make plans, so we keep waiting and studying and hiking and dreaming…. 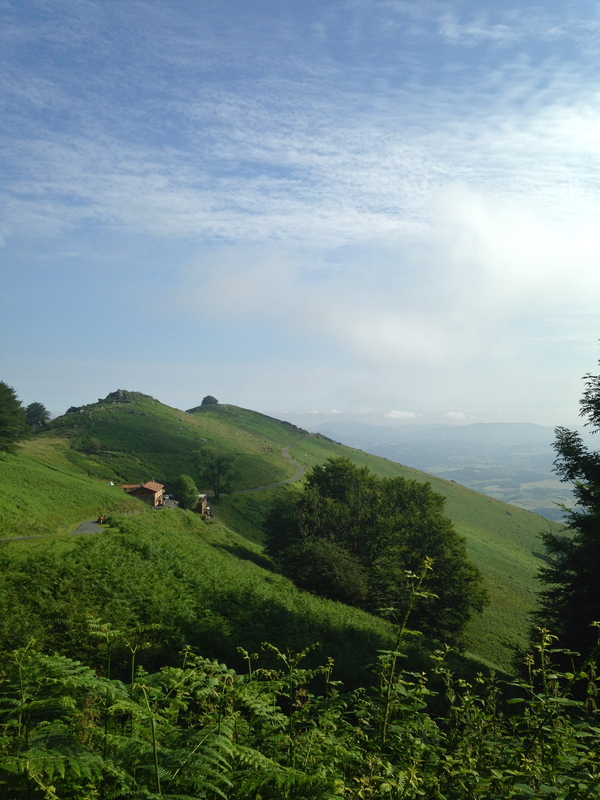 One of the biggest challenges for us would be to take 5 weeks off of work to do the Camino Frances. That amount of time is simply not feasible at this point in our lives. Two weeks, definitely. Three weeks, would be difficult but we could probably make happen – but no more than that. So, we’ve felt very sad thinking we would have to wait for another 10 years until we retire to go to Spain and do “Our Camino”. I’ve felt strongly that if we put it off, we may NEVER get a chance to go together. As we have continued to do so much planning, reading, studying ,etc over these years – we have always been completely focused on the Frances route. We never even considered looking at any other Ways of getting to Santiago. But now I’m opening up my mind. The more I read about the Primitivo, the more I think it is the one that could be a perfect fit. But, I often hear everyone say that you “have to” do the Frances first. I’m sure that is the general consensus – but, couldn’t we just do the Primitivo now, and then do the Frances in the future after we retire and can give ourselves lots of times to walk and savor it? I’ve even started to wonder if that is why so many things have gotten in our way to do the Frances. Perhaps we are meant to do the Primitivo first? I am not finding very much about the Primitivo as compared to all the info about the Frances. It also seems that there is not a guidebook written in English that anyone feels is useful. So, I would really appreciate your thoughts. Any advice and tips we should know to prepare for the Primitivo as compared to the Frances? What a wonderful post and a great summary. I’ve also enjoyed reading through all the comments as I contemplate walking the Camino Frances again with some friends or going alone on the Camino del Norte and hopefully uniting with them towards the end. I’ve done the Portuguese Camino, the EPW and Tour Mont Blanc since my first Camino 3-years ago and I am completely ‘bitten’! Each one of those walks has offered me so much but the Camino Frances stole my heart! I just have to keep walking and because I am in my mid to late 60s, I feel I have so little time left To walk such long distances comfortably. Thank you again for your insights Nadine. This question is still relevant. Now almost two years later, what would you recommend for a Camino newbie (solo) – Frances or Norte? While the magical Camino-feeling sounds interesting I’m a little worried of the super highway of pilgrims and tourists offered by the French way, and especially don’t like the idea of the bed-race. 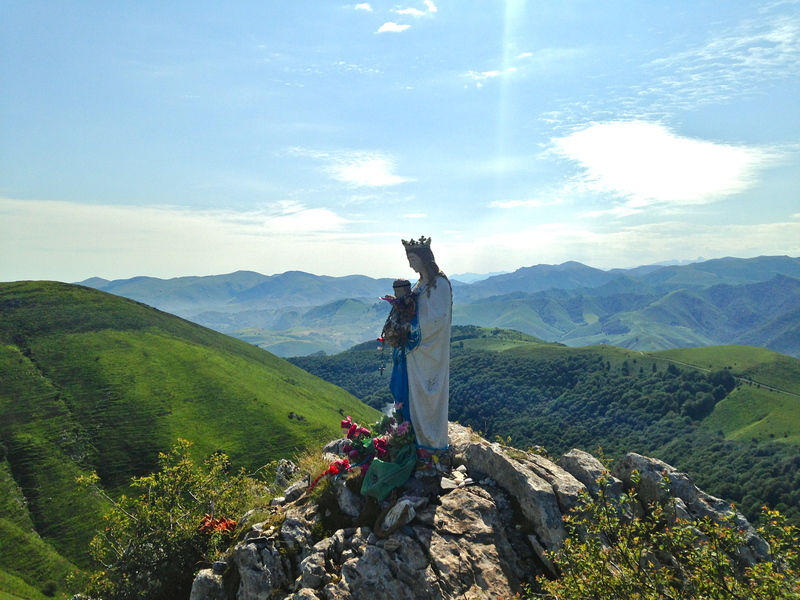 I know i will love the views, the solitude and the mountains of the Norte, but everybody keeps saying do the French way first to get the real Camino experience and friendships. Your comment made me wonder if I should revisit this question by writing another post; I think as the Camino continues to grow in popularity, the question of Frances or Norte (or, maybe, another option) becomes more and more relevant. Sometimes I wonder if part of that very magical Camino feeling- the ‘spirit of the Camino’ that I so strongly felt and experienced on the Frances was due, in part, to it being my first Camino. Maybe on my subsequent Camino’s, because I’d already been at it before, I didn’t experience the Camino spirit and energy in the same ways because I’d already had it? I’m not sure, but I think it’s a possibility. I think a lot of people walk the Norte as their first route and come away having experienced that magic Camino feeling (and at times, I did too). 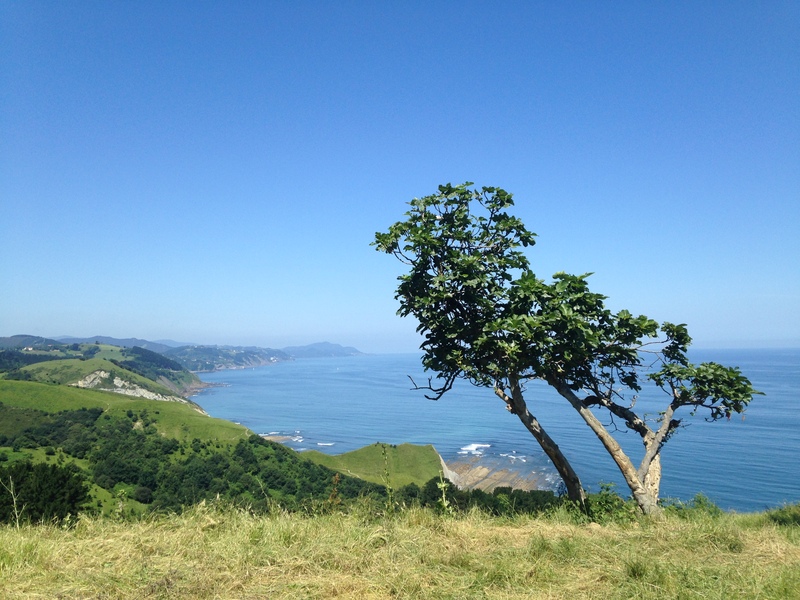 I think that if you know you will love the views and fewer people and the mountains, plus the fact that you won’t have to worry about a bed-race, then the Camino del Norte would be a wonderful first Camino. Besides, what is the ‘real’ Camino experience, anyway? We tend to think of the Frances as the ‘real’ Camino but that’s only because it’s the most popular. Any route that leads you to Santiago is the Camino, and on it you will find the spirit of the Way. Sometimes it is obvious, and sometimes it is subtle but I think it is always there, no matter which road you are on. Another thing that will always be there? The friendships. You will find these on the Norte, just as easily as on the Frances. Thanks for the reply – Your view makes a lot of sense. It is funny how we (I) sometimes can spend so much time thinking about “small” things. Just because we don’t want to miss out on anything or make the wrong first choice. I will look forward to reading a new in-dept post about this ever looming topic if you ever write one. I really enjoyed reading about the Camino from your perspective. Also if you ever did the Frances again. I would be interesting to read about how it has changed (if it had) due to the rise in popularity and number of pilgrims. Michael, which did you end up choosing? How was it? Nadine, thank you for your posts! I am doing my first Camino this summer and had been set on del Norte, because I LOVE nature and do not love crowds. I’m someone who needs her solitude to regroup but also lives for serendipitous encounters, quality conversation, and connection. I’m hoping for a journey that may help me heal from trauma and grief that’s now far enough in the past that I’m ready to walk well beyond it; although I don’t want to dwell, I do hope to give some narrative shape to that mess by audio recording along the way and later transcribing and transforming my thoughts into hopefully something of beauty. Anyways, do you think the number of pilgrims on the Camino Frances in June and July would be too overwhelming for someone seeking quiet solo wanderings between meal-time company? What you’ve described is exactly the kind of Camino experience I love: quiet, solo wanderings with meal-time company. I think that June still tends to not be super crowded on the Frances, though July can get busy. August even more crowded, so if you can keep the walk to June and July it might be okay. I walked the Frances from the end of June to the end of July, but it was nearly 5 years ago and I know things have gotten much more crowded since then. But my experience- especially when I stayed “off stage” from the larger groups- was a mostly peaceful and quiet one. I think parts of the Frances might feel overwhelming to you, but other parts will probably be just what you’re looking for… it’s so hard to know! For what it’s worth, I’m seriously thinking about revisiting part of the Norte this summer, and I’m hoping to write another Frances vs Norte post soon. Thanks for your wonderful comment and Buen Camino! Hi there! Are you able to cycle both the Camino Frances and the Northern route in Spain? If we were to go by bike, which route do you suggest? Thank you!